Out of all the gifts I’ve received, the ones that someone took the time to make with their own two hands are the ones that stand out the most to me. Some of us, however, aren’t the crafty types that just reek creativity. Not to worry! 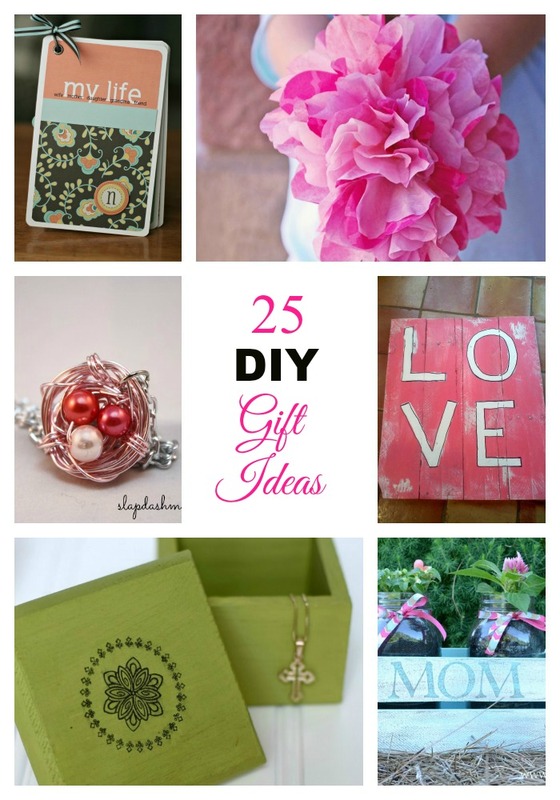 I’ve rounded up a few of my favorite DIY gift ideas from all over the web, that will help get your creative juices flowing! You’ll sure to find the perfect gift for just about anyone on your gift list! As you can see, there are a plethora of DIY gift ideas for that special gift that adds just the right touch of personalization. You don’t have to be an expert crafter, or a master designer to give a gift that shows the love in your heart, and the time spent working with your own two hands. To me, these are the best gifts ever! ← 10 Healthy & Delicious Road Trip Snacks for Kids! Popsicle Stick Crafts for Christmas – Fun For Kids!